The first door lead into a greenhouse teaming with exotic flowers. The second door opened into the chic world of models and high fashion. But all three doors lead to death! 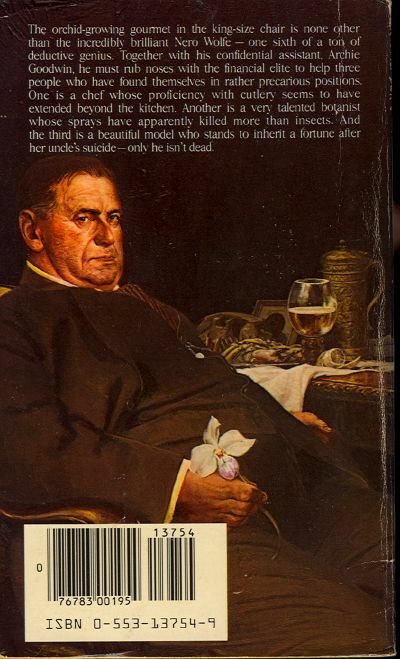 The orchid-growing gourmet in the king-size chair is none other than the incredibly brilliant Nero Wolfe – one sixth of a ton of deductive genious. Together with his confidential assistant, Archie Goodwin, he must rub noses with the financial elete to help three people who have found themselves in a rather precarious positions. One is a chef whose proficiency with cutlery seems to have extended beyond the kitchen. Another is a very talented botanist whose sprays have apparently killed more than insects. And the third is a beautiful model who stands to inherit a fortune after her uncle’s suicide – only he isn’t dead. 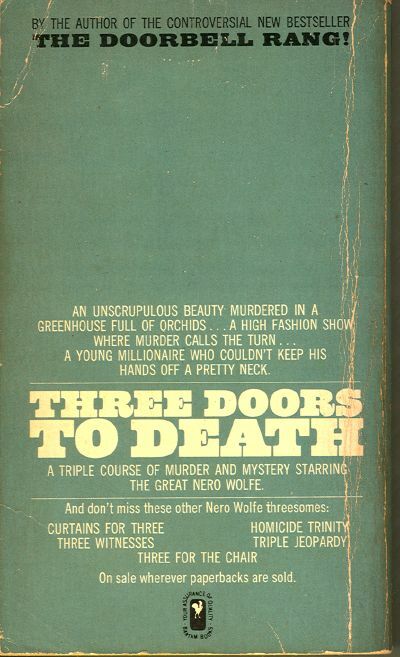 Cover is of a Bantam paperback. Above cover is of a Bantam Reissue Edition paperback first released in March 1995 and is an 8th printing. 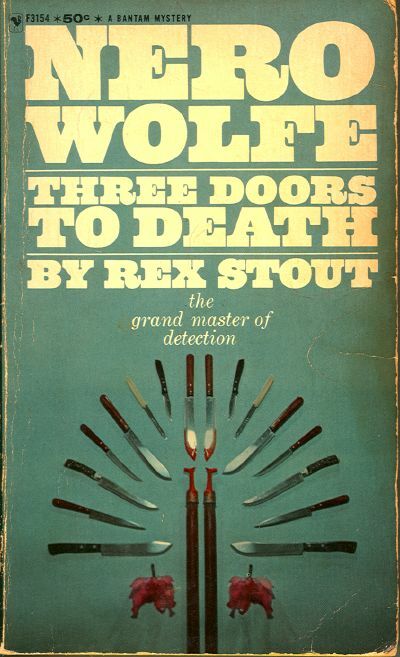 One by one they knock on the door of the incomparable Nero Wolfe, each with a case more perplexing than the one before. First comes the niece of a man who committed suicide by jumping naked into a geyser, only to return just in time to be murdered. Then it’s the strange case of the murder victim’s family covering up for the real killer, while a chef stews in jail. 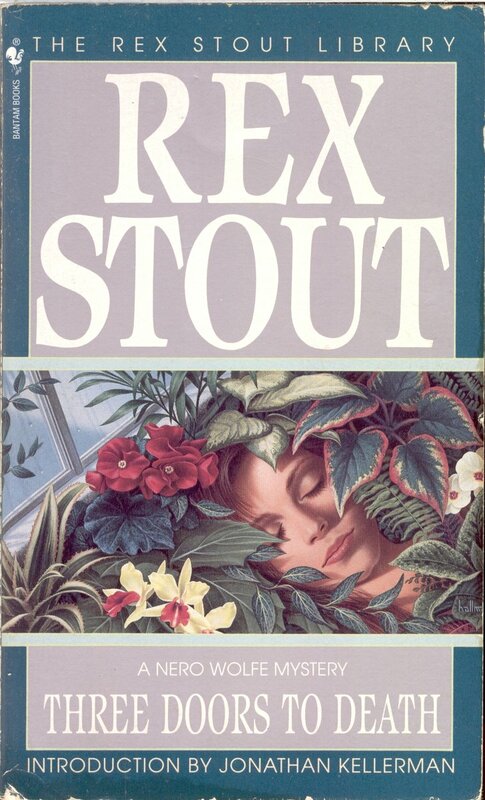 Finally a master horticulturist discovers the woman he wants to marry: dead and cooling in a hothouse. Three knocks on the door. Three cases of crime. 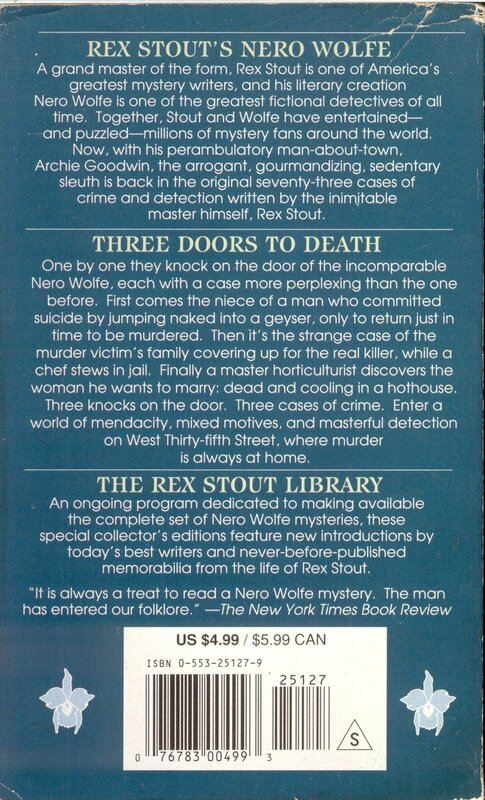 Enter a world of mendacity, mixed motives, and a masterful detection on West Thirty-fifth Street, where murder is always at home. 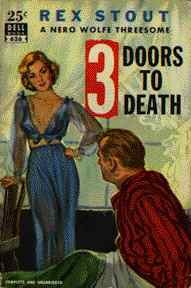 Three Doors To Death – 19?? Publishing date unknown but, this cover appears to be from the 50’s. 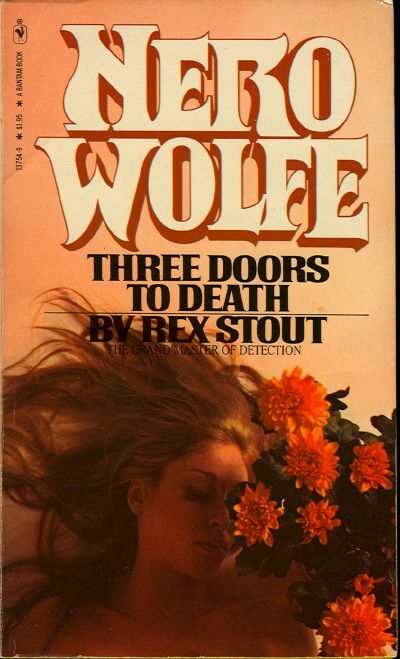 An unscrupulous beauty murdered in a greenhouse full of orchids… A high fashion show where murder calls the turn… A young millionaire who couldn’t keep his hands off a pretty neck.